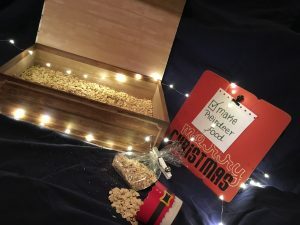 A great Christmas Eve tradition as well as a fun Christmas party activity is the making and spreading of Reindeer food. 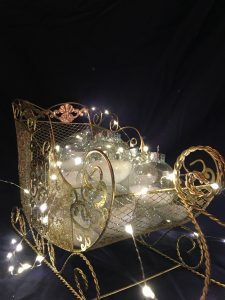 The kids are all so excited to make the Reindeer food at our party and as soon as the party invitations go out, I have kids asking me if we will be making reindeer food again and commenting on how much they enjoyed spreading it in their yard on Christmas Eve. For the complete directions, please click here. One of my favorite memories of Christmastime as a child was the gift exchange at school. Since the schools in our area no longer draw names and exchange gifts, we include a gift exchange at our children’s Christmas party. 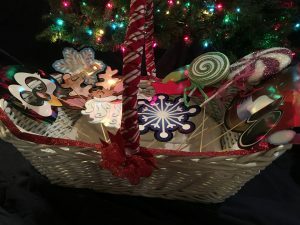 There are lots of ways to incorporate a gift exchange into a Christmas party for adults, but many of these do not translate well into a children’s party. So this is what we have found works very well. Please click here for steps to hosting a successful Christmas party gift exchange for children and teens. Another great party activity is a photo booth. Teens and tweens will love having a photo booth, complete with props, for selfies and the parents of younger kids will be excited to get a couple of photos as they drop-off or pick-up their kids from the party. Please click here for how to set up a successful photo booth. No kids party is complete without a craft. Follow these simple directions to set up a beautiful snow scene ornament craft.